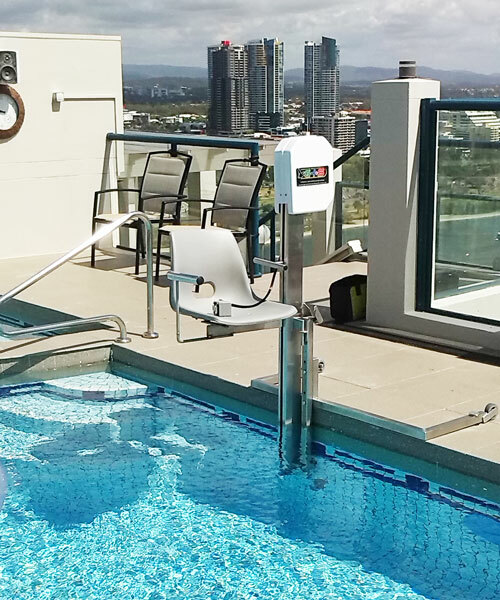 Our Australian designed and manufactured pool lifts and accessories are individually engineered to suit your pool and your needs. 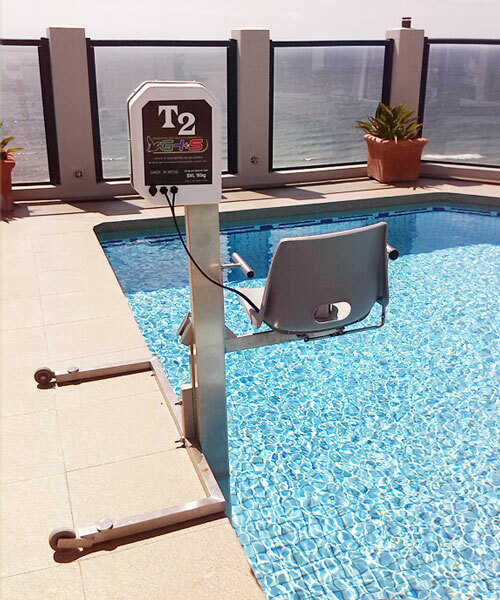 The T2 pool lift is designed to be unobtrusive, elegant and discreet. Made with a rugged construction with poly body, they are simple to operate, comfortable and discreet. 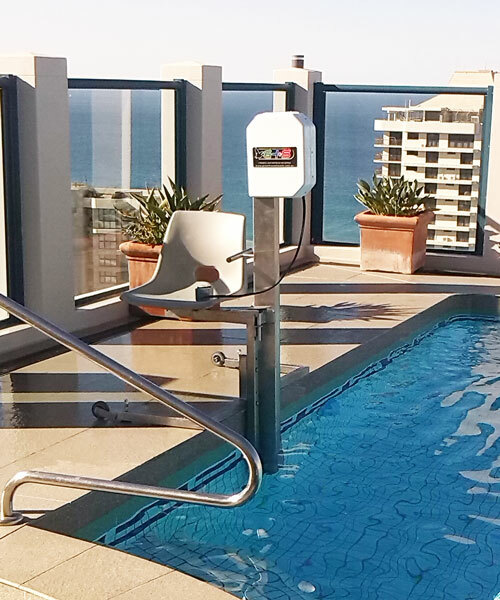 They are designed to be fixed or removable from poolside and with minimal interference to swimming space. Annual service agreements are available for your duty-of-care requirements.